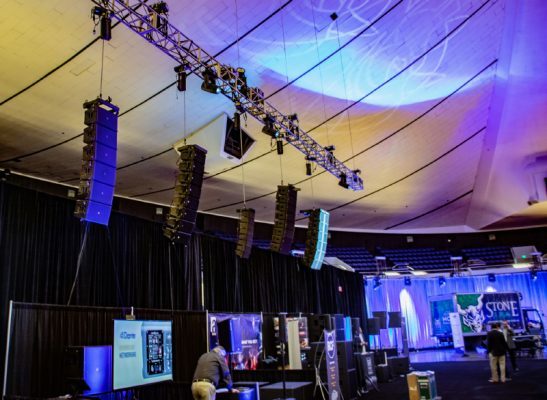 The first-ever Loudspeaker Showcase at the 2019 NAMM Show in January at the Anaheim Convention Center Arena attracted more than 2,000 attendees who stopped by to check out both larger- and smaller-format professional loudspeaker systems in round-robin as well as individual sessions over the course of a 3-day run. 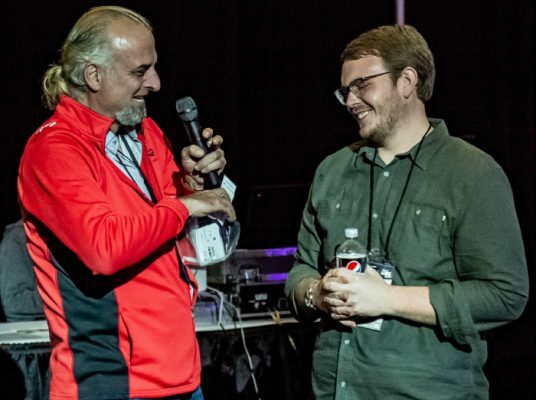 The event, based on the popular Loudspeaker Demo format launched by LSI more than eight years ago at the Worship Facilities Expo (WFX), delivers a highly unique side-by-side listening opportunity. 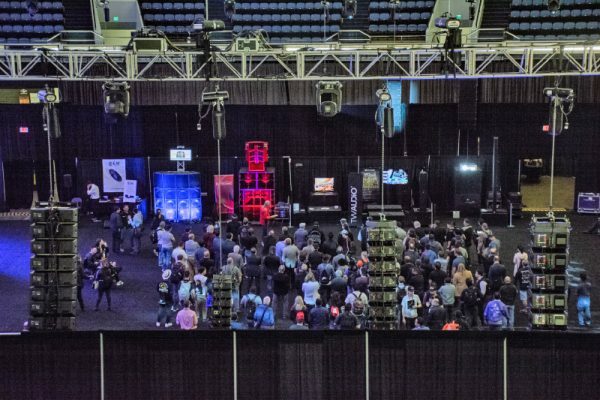 “The premiere of the Loudspeaker Showcase is the result of a partnership between NAMM and Live Sound International aimed at engaging the NAMM attendee looking for unique experiential engagement,” explains Kevin McPherson, executive publisher of LSI. “It’s a major step forward for loudspeaker manufacturers whose products must be heard to be truly appreciated. This year’s festivities were hosted by emcee Bernie Broderick of Truth In Audio, who brought more than 30 years of work with professional loudspeakers to his presentation of each system to the audience. 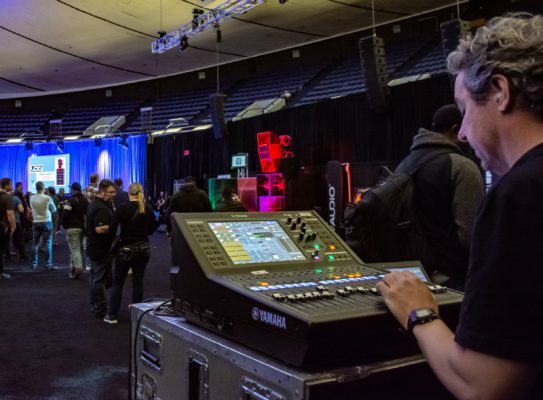 At the front of house position in the arena, mix/control engineer extraordinaire Nicholas Radina utilized a Yamaha QL1 digital console, working with dual Rio stage boxes, to manage and deliver audio to each system. Prior to each round-robin session, all systems were fed pink noise, with the designated uniform sound pressure level set and confirmed. This process, managed by Rational Acoustics, was based upon data provided via 10EaZy functionality in industry-leading Smaart v8 optimization software. Output was captured via a centrally located measurement microphone in the listening area, and it also supplied constant SPL readings to attendees via a large video monitor during all demo sessions (in both A and C weighting). For his presentations, Broderick utilized a Lectrosonics Digital Hybrid wireless transmitter feeding an R400A diversity receiver. A high-end lighting package deployed by 4Wall Entertainment (nationwide) spotlighted each individual system as it was played, while two large-format LCD video screens in opposite corners, also deployed and managed by 4Wall, supplied attendees with key information. Following standard practice established at the initial demo, systems were fed identical music tracks during each larger and smaller system round-robin session. Listeners could evaluate what they were hearing while also observing each system’s scale, components and other important details, in addition to getting further technical details and pricing information from qualified representatives of each company participating in the demo. Lucky attendees were awarded prizes via drawings following each demo session, including Electro-Voice ND86 dynamic vocal microphones, Rational Acoustics Smaart v8 and RTA420 measurement microphones, EM Acoustics EMS-51 compact loudspeakers, Dante AVIO adapters from Audinate, and electric guitars from D’Angelico’s popular Premier Series. The next event is slated for the Loudspeaker Demo at the USITT (United States Institute for Theatre Technology) Expo in Louisville this coming March, followed by another Demo at the WFX show in Orlando in September. Plans are will already underway for both events, so keep an eye on ProSoundWeb for further updates in the near future.